The High Chaparral, the name of the ranch owned by the Cannon family in the Arizona Territory during the 1870's. Stubborn, determined, 50-year-old John Cannon is the patriarch of the family with ambitions to establish a cattle empire while finding a way to co-exist with the Apaches and the Mexicans just across the border. To help him, he has his younger brother Buck, who can out-drink, out-shoot, out-fight, and when motivated, out-work any man alive. He also has his son, Billy Blue, a young man in his early 20's, whose mother is killed in the first episode. In an arranged marriage intended to keep peace with the neighbors, John then marries an aristocratic Mexican beauty, Victoria Montoya, daughter of Don Sebastian Montoya, a wealthy Sonoran rancher. Her brother, Manolito, accompanies Victoria to the Cannon ranch as her guardian, staying on as a member of the household even after the arranged marriage turns to one of substance and trust. Created and produced by David Dortort, the genius behind Bonanza, the writing was superb with plenty of action and biting dialog. The series strove for realism...the sweat, the dirt, the heat, the desert...even the Apaches who worked on the set as extras were real. And it explored culture and class conflicts among white Americans, Mexicans, and various Indian tribes at a level not attempted before or since by a television Western. 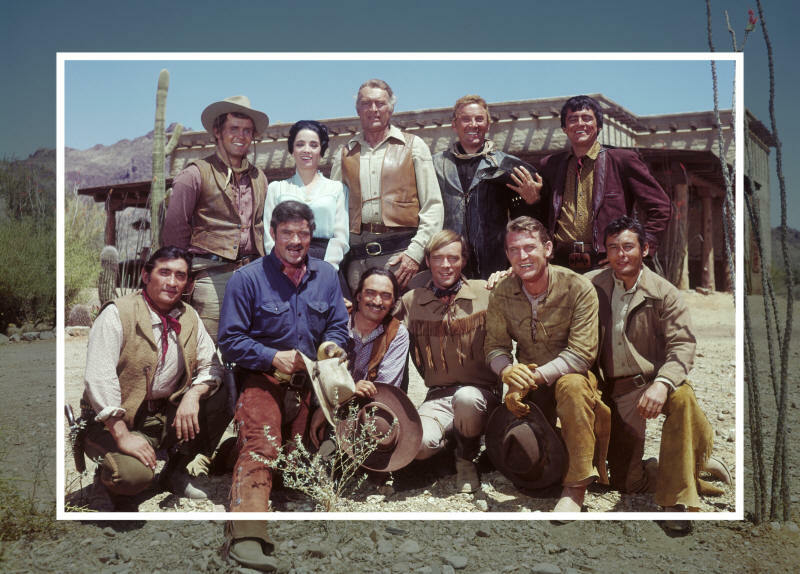 While it aired, The High Chaparral remained in the Top 20 of the AC Nielsen ratings. It was Number One in Europe, and is still shown in syndication. Inside you will find a growing archive of information about the show and other items of interest for Western fans to enjoy. Captain Purdy Don Eitner was born in San Marino, California and worked as both an actor and a writer. 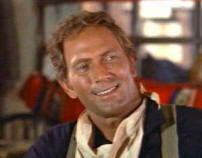 The High Chaparral was his only Western credit. Judson Tom Reese was born Tom Allen but by 1960 was using his screen name which carried him through more than 45 years of television and movie productions. Some of his movie credits included Vanishing Point, The Greatest Story Ever Told, and 40 Pounds of Trouble. He had a starring role in Ellery Queen as Sgt. Thomas Velie. 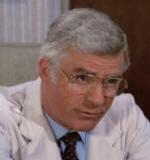 He appeared in numerous police, and spy series on television, often playing detectives or police officers. 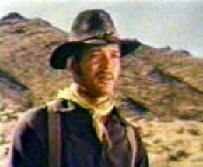 His other Western credits included: The Man from Blackhawk, Law of the Plainsman, Have Gun - Will Travel, Death Valley Days, Outlaws, The Great Adventure, Destry, Blood on the Arrow, The Virginian, The Wild Wild West, Rawhide, Laredo, Branded, Bonanza, Iron Horse, The Guns of Will Sonnett, Cimarron Strip, Support Your Local Sheriff, Gunsmoke, and Guns of Paradise. 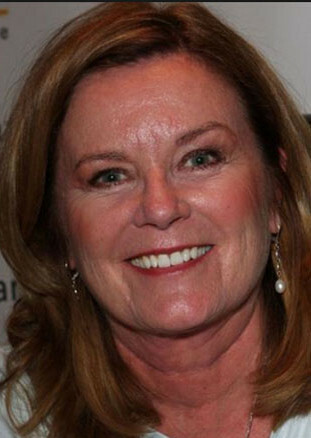 Heather Menzies-Urich was best known for her role as Louisa in The Sound of Music. 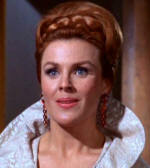 In The High Chaparral she teamed up with Jo Ann Harris to play two memorable teenage horse thieves. She appeared in many TV series in the 1970's and 1980's, including a significant recurrent role as Jessica in Logan's Run. 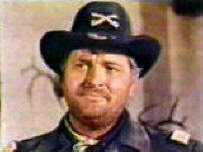 Other Western appearances included Bonanza and Alias Smith and Jones. She was married to Robert Urich, star of Spenser: For Hire and Lonesome Dove. 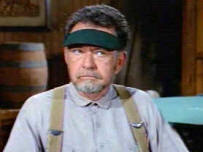 Like his role on The High Chaparral, Charles Tyner excelled in playing cold-hearted supervisors in many films and television productions over his fifty year acting career. He played mean prison guards in Cool Hand Luke and The Longest Yard. In one of his most memorable roles he made fun of his usual overbearing characters when he played Uncle Victor in Harold and Maude. His other Western credits included Dundee and the Culhane, The Big Valley, The Stalking Moon, The Cheyenne Social Club, Lawman, Alias Smith and Jones, The Cowboys, Jeremiah Johnson, The Young Pioneers, How the West Was Won, Little House on the Prairie, and Guns of Paradise. 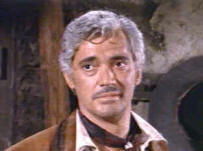 Carlos Mendoza Ned Romero was a favorite on The High Chaparral where he played the likable recurring role as Perlita's boyfriend who was usually being outwitted by Manolito in their romantic pursuits of the same sweetheart. Born in Louisiana, Ned Romero began as an opera singer with a powerful baritone voice. He held a Master's Degree in music and was fluent in at least three languages. In a career that spanned over 40 years he appeared in nearly 100 productions including a starring role as Chief Joseph in I Will Fight No More Forever. 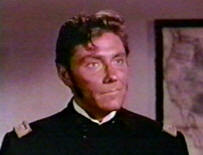 He appeared in both the original Star Trek series and in Star Trek: The Next Generation. His other Western credits included: Shane, Rango, Laredo, Winchester 73, Custer, Bonanza, Hang 'Em High, The Virginian, Mark of the Gun, Lancer, Death Valley Days, The Quest, Last of the Mohicans, The Deerslayer, and The Magnificent Seven. Harry Dean Stanton was a prolific character actor, appearing in major films such as Alien, The Green Mile, Paris, Texas, The Godfather Part II, Cool Hand Luke, and Kelly's Heroes. He served in the Navy during WWII and was in the Battle of Okinawa. 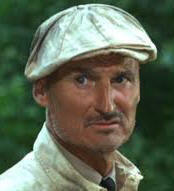 He appeared in over 100 films and 50 television episodes that spanned over 60 years. 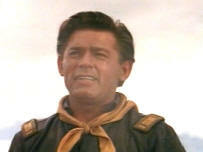 His Western credits include Tomahawk Trail, The Adventures of Rin Tin Tin, Bat Masterson, The Texan, The Rifleman, The Man from Blackhawk, Johnny Ringo, Gunslinger, Zane Grey Theater, Have Gun - Will Travel, How the West was Won, Laramie, Bonanza, Rawhide, A Man Called Shenandoah, The Big Valley, Ride in the Whirlwind, The Dangerous Days of Kiowa Jones, The Wild, Wild West, The Guns of Will Sonnett, Cimarron Strip, Gunsmoke, Daniel Boone, Pat Garrett & Billy the Kid, The Missouri Breaks, and Dead Man's Walk. Major Anderson Alan Bergmann appeared as an actor for more than 25 years in TV and film including recurring roles on Mannix and Hogan's Heroes. His career as a director covered 14 years, over 30 television productions, and the film, The Hitch-Hikers. Besides The High Chaparral, his Western credits included The Wild Wild West, The Big Valley, Bonanza, and Dusty's Trail. Kathleen Crowley was Miss New Jersey of 1949 and while her acting career ended in 1970, she made regular appearances in Westerns throughout the 1950's and 1960's. 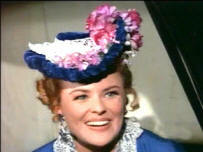 Besides The High Chaparral, her Western credits included The Silver Whip, The Lone Ranger, Along the Oregon Trail, Westward Ho the Wagons, The Quiet Gun, The Phantom Stagecoach, Cheyenne, Colt .45, Wagon Train, The Restless Gun, Tombstone Territory, The Rough Riders, Cimarron City, Rawhide, Death Valley Days, Laramie, Bat Masterson, Bronco, Maverick, Tales of Wells Fargo, The Virginian, Branded, and Bonanza. Tony Russel was born in Wisconsin to Italian immigrant parents. After service in the Air Force during WWII, he trained at the Pasadena Playhouse and appeared in numerous films and TV series over a span of 40 years. 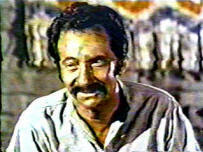 During the 1960's he relocated to Italy and was a part of the Italian movie scene. 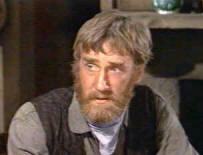 He turned down the lead in Fistful of Dollars, which eventually went to Clint Eastwood. Some of his Western credits include: Hiawatha, 26 Men, Broken Arrow, Behind the Mask of Zorro, Death Valley Days, and Hec Ramsey. Miriam Colon was born in Puerto Rico and is best know for her role in Scarface and her recurring roles on One Life to Live, The Edge of Night, and How to Make it in America. She appeared in more than 120 productions over a span of more than 60 years. 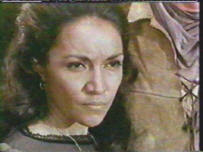 Her fiery role as Trinidad in The High Chaparral was a memorable one. Her other Western credits include: Tales of Wells Fargo, Wanted: Dead or Alive, Bronco, The Deputy, Overland Trail, One-Eyed Jacks, The Tall Man, Have Gun - Will Travel, Laramie, Death Valley Days, The Legend of Jesse James, The Appaloosa, The Virginian, Bonanza, Streets of Laredo, Gunsmoke, and All the Pretty Horses. Patricia Barry was born in Davenport, Iowa in 1922 and started acting shortly after college as Patricia White. She started using her married name in the 1950's, after her marriage to television producer, Phillip Barry. Her television and movie career spanned over fifty years and included numerous appearances on several daytime soaps. Her role as Melanie Cawthorne, the conniving, but not too evil, widow who wraps Buck around her finger was especially good. Other Western credits included Blazing Across the Pecos, Riders of the Whistling Pines, Maverick, Sugarfoot, Yancy Derringer, Laramie, Bronco, The Rifleman, Tales of Wells Fargo, Zane Grey Theater, Outlaws, The Tall Man, Frontier Circus, The Virginian, Rawhide, Destry, Iron Horse, Guns of Will Sonnett, and Gunsmoke. 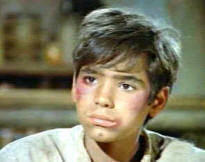 Beto Miguel Alejandro was a talented child star who came to The High Chaparral after a starring role as Alan Arkin's son in Popi in 1969. His intensely dramatic role with Cameron Mitchell in the episode, Fiesta, was one of the highlights of the fourth season. He also appeared in the Clint Walker TV movie, Yuma, which also featured HC guests, Morgan Woodward, Kathryn Hays, and Barry Sullivan. Miguel Alejandro does not have any films credited to him after 1971 and I could not find a more current photograph. Richard Bradford had a major guest role as one of HC's most menacing villains. Born in Conroe, Texas, he was best known for roles in The Untouchables, Man in a Suitcase, and The Milagro Beanfield War. In an acting career that spanned nearly 40 years, he often appeared in roles as spies or detectives. Other Western credits included Gunsmoke and The Missouri Breaks. Robert Loggia, born in New York in 1930, first appeared in a television series in 1951. His career continued until his death in 2015, with three productions still scheduled for release in 2016. 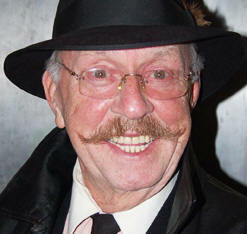 He had roles in Scarface, Independence Day, and Big, which included his famous piano key dancing scene with Tom Hanks. 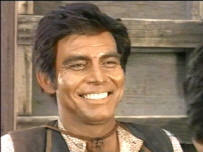 He played numerous ethnic parts, including in High Chaparral, playing both a major Mexican and Apache role. Other Western roles included Wagon Train, Overland Trail, Cattle King, Gunsmoke, A Man Called Shenandoah, The Wild Wild West, The Big Valley, and Little House on the Prairie. Army Colonel Gregg Palmer was born Palmer Lee in San Francisco in 1927. 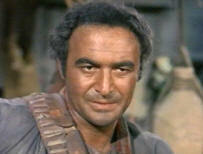 Well-known for his many Western roles, he acted for over thirty years in movies and television. His Western credits included all these and more: The Lone Ranger, Adventures of Champion, Tales of the Texas Rangers, Broken Arrow, The Texan, Frontier Doctor, Buckskin, Pony Express, Cimarron City, Restless Gun, 26 Men, Riverboat, Shotgun Slade, Overland Trail, The Man from Blackhawk, The Deputy, Lawman, Sugarfoot, Five Guns to Tombstone, The Tall Man, Gun Fight, Outlaws, The Life and Legend of Wyatt Earp, Two Faces West, Tales of Wells Fargo, Wagon Train, The Commancheros, Bronco, Cheyenne, Have Gun - Will Travel, Laramie, The Quick Gun, Advance to the Rear, Rawhide, Daniel Boone, Shenandoah, The Loner, A Man Called Shenandoah, The Big Valley, Branded, The Legend of Jesse James, The Rare Breed, Laredo, Cimarron Strip, The Wild Wild West, Bonanza, Death Valley Days, Cutters Trail, Chisum, Rio Lobo, The Virginian, Alias Smith and Jones, Gunsmoke, The Shootist, Go West, Young Girl, How the West was Won, and True Grit. The Doctor Tom Toner, born in Homestead, Pennsylvania, was a popular stage performer on Broadway whose acting career covered three decades. His film credits included Miller's Crossing, Doubt, Arthur, Hudsucker Proxy, and Splash. 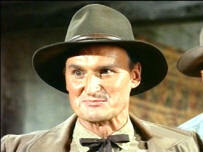 The High Chaparral appears to be his only Western role. Bum #2 Geoffrey Lewis had a rather minor role on HC but had an extensive career as a character actor, appearing in at least seven Clint Eastwood films, including High Plains Drifter. His career began in 1970 with Bonanza, High Chaparral, and other guest roles, and continued into 2015. His final appearance in High & Outside is scheduled for release in 2016. Some of his other Western credits include: Cade's County, The Culpepper Cattle Co., Alias Smith & Jones, Gunsmoke, The Gun and the Pulpit, The Return of a Man Called Horse, Shoot the Sun Down, They Died with Their Boots On, Centennial, Bret Maverick, Little House on the Prairie, The Shadow Riders, September Gun, Desperado: The Outlaw Wars, Guns of Paradise, Gunsmoke: The Last Apache, and Maverick. He received a Golden Globe nomination for his role as Earl Tucker in the TV series, Flo. Sergeant Washburn Rockne Tarkington was born in Junction City, Kansas in 1931 and was a stage actor before moving on to television. He was the first black actor to appear on The Andy Griffith Show. His career in movies and television covered more than 30 years and besides The High Chaparral included Western credits in The Great Gundown, Lucky Luke, and Wyatt Earp. 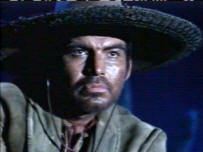 Rico Alaniz was born in Juarez, Mexico as Americo Zorilla Alaniz. 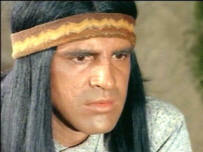 His acting career spanned over 40 years, much of it in Westerns portraying Indians or Latinos. He was best known for roles in The Magnificent Seven, and The Life and Legend of Wyatt Earp. 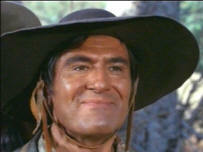 One of the most prolific guest stars on The High Chaparral, he was credited in four different episodes as well as having an uncredited part in Doctor from Dodge. Each of his roles were distinctive characters. 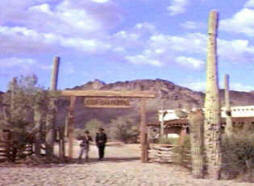 Other Western credits include Viva Zapata!, California Conquest, Adventures of Kit Carson, Column South, Conquest of Cochise, Siege at Red River, Death Valley Days, The Lone Ranger, Buffalo Bill, Jr., Stagecoach to Fury, Adventures of Rin Tin Tin, Zorro, Sugarfoot, Maverick, Have Gun - Will Travel, Laramie, Outlaws, Tales of Wells Fargo, Bronco, The Virginian, Rawhide, The Big Valley, Gunsmoke, Wild Wild West, Daniel Boone, and Bonanza. Gregory Walcott attended the HC reunions in Los Angeles and fans had a great time chatting with him about the show. He was being considered for the role of "Buck Canon" before David Dortort decided on Cameron Mitchell. He had two major guest roles on HC, both intensely dramatic interactions with Cameron Mitchell. Gregory Walcott began his acting career in 1952 in Red Skies of Montana, and in 1961 starred with Robert Lansing in the TV series, 87th Precinct. He appeared in four different Clint Eastwood productions and had roles in many Westerns including: Cheyenne, Thunder Over Arizona, Sugarfoot, Badman's Country, Frontier Doctor, 26 Men, Shotgun Slade, Maverick, The Rifleman, Colt .45, Wichita Town, Overland Trail, Tombstone Territory, The Tall Man, Life and Legend of Wyatt Earp, Riverboat, Wagon Train, Tales of Wells Fargo, Bat Masterson, The Deputy, Laramie, The Dakotas, Rawhide, A Man Called Shenandoah, Shane, The Big Valley, Daniel Boone, Alias Smith & Jones, Joe Kidd, Bonanza, The Cowboys, Little House on the Prairie, and The Quest. 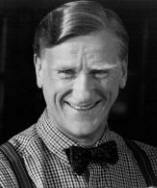 Lt. Corey Ron Foster was a prolific character actor who appeared in more than 80 productions over 50 years. 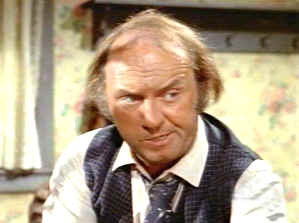 Never really type cast, he acted in comedies, horror flicks, Westerns, soaps, police/detective shows, suspense, sci-fi, and everything in between. Some of his other Western appearances were in The Storm Rider, Death Valley Days, Tombstone Territory, Cattle Empire, The Rough Riders, The Life and Legend of Wyatt Earp, Colt .45, Bat Masterson, Gunsmoke, Tales of Wells Fargo, Laramie, The Virginian, Rawhide, Bonanza, and The Oregon Trail. Santos Born in Colombia in 1950, Frank Ramirez was an actor and a writer, known for La estrategia del caracol(1993), A Man of Principle (1984) and A Matter of Honour (1988). His acting credits spanned 40 years and included Western appearances in The Outcasts, Smith!, The Wrath of God, and Gunsmoke. Gonzales Although you may not recognize his name, Than Wyenn's acting career spanned nearly forty years, with over 150 productions from 1949 through the mid-1980's. His credits range from Leave It to Beaver to Splash!, and from Dr. Kildare to The Six Million Dollar Man. His Western credits include: Gunsmoke, Zorro, Zane Grey Theater, Boots and Saddles, Jefferson Drum, Have Gun - Will Travel, The Texan, Death Valley Days, Wanted: Dead or Alive, Stagecoach West, The Rifleman, Rawhide, Wide Country, A Man Called Shenandoah, The Big Valley, and The Virginian. He worked for 37 years as a drama consultant for the Los Angeles Bureau of Jewish Education and was a founder of the Yiddish Kinder Theater. Kolos Denny Miller may have been best known as the "Gorton Fisherman" in a series of commercials dressed in yellow rain gear, but he was a significant character actor for over 40 years. He was the first blond Tarzan in Tarzan the Ape Man in 1959 and played a similar role later in Gilligan's Island. 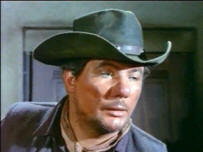 His first recurring television role was as Duke Shannon on Wagon Train. Later he played Mike McCluskey with Juliet Prowse in Mona McCluskey. Other Western guest roles included Overland Trail, Have Gun - Will Travel, Riverboat, Laramie, The Rifleman, Stagecoach West, The Deputy, Death Valley Days, The Virginian, Gunsmoke, Bordertown, Lonesome Dove: The Series, Dr. Quinn, Medicine Woman, and Hell to Pay in 2005. 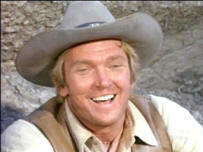 In 1972 he appeared with Cameron Mitchell in Buck and the Preacher. Opus, the telegrapher Don Keefer started acting in television in 1947 and didn't retire until 1997 after appearing in Jim Carrey's movie, Liar, Liar. 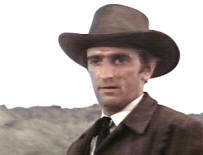 He played the train's fireman in Butch Cassidy and the Sundance Kid. 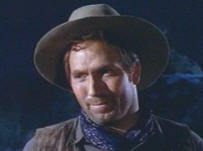 Some of his Western credits included Wichita Town, Rawhide, Wagon Train, Have Gun - Will Travel, Whispering Smith, The Dakotas, The Loner, Iron Horse, Dundee and the Culhane, Cimarron Strip, Death Valley Days, The Outcasts, The Virginian, The Guns of Will Sonnett, Alias Smith and Jones, Bonanza, and Gunsmoke. See More Tributes Here . . .